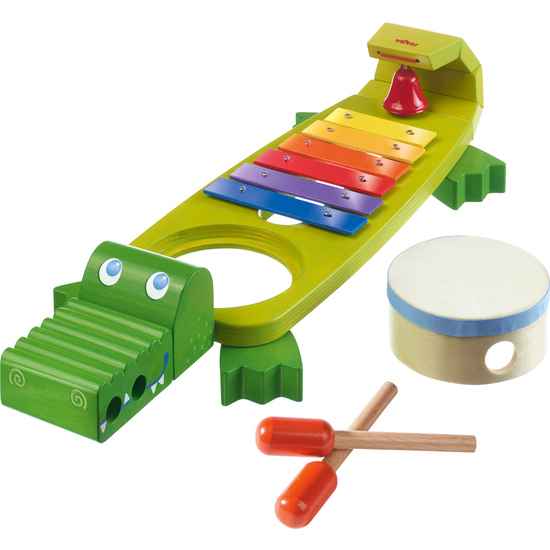 There’s music in the air – Symphony Croc is here! Children are enthralled by his 4 exciting instruments, washboard, drum, xylophone and bell. Very practical: The two mallets allow for children to play entertaining duets.